There is nothing more frustrating than being hit and injured by a drunk driver, especially if the drunk driver doesn’t have adequate insurance to cover the damages. 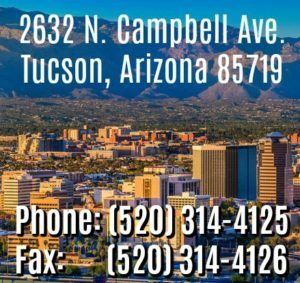 Suing a drunk driver in Arizona isn’t always as easy as it should be and there are several avenues of recovery that need to be explored. When a drunk driver causes and accident with another driver, a bicyclist, or a pedestrian, he’ll probably be facing two serious problems: (1) criminal charges brought by the State of Arizona, and (2) a civil lawsuit filed by the other driver. If the drunk driver is found guilty in the criminal case, the court will order restitution to compensate the victim for the losses that directly result from the accident. Criminal restitution can be helpful, but it is often difficult to collect and can be a very slow process. A civil lawsuit is a much better way for DUI victims to be compensated because a drunk driver can be ordered to pay for all of the victim’s compensatory damages and possibly even punitive damages. So what issues arise when you are suing a drunk driver in Arizona? If the drunk driver has insurance, there’s a chance that the policy will cover victims’ loses (property damage, medical bills, pain and suffering…). Liability in these cases is usually pretty clear, especially if the drunk driver has been convicted in criminal court, but there can still be issues about who caused or contributed to the accident. Even when liability is established, however, sometimes the terms of a DUI driver’s insurance policy will exclude damages caused by certain types of criminal behavior. Thus, it’s important that the victim’s attorney work with prosecutors from the outset to encourage an outcome beneficial to the victim’s civil claim. If you’re suing a drunk driver and his policy limits are too low (he is underinsured), or he has no insurance, then things get more complicated. In cases where the driver has insufficient or no insurance, there may be other ways to recover for your loses. First, you can still sue the drunk driver anyway, but without insurance it will be difficult to collect any judgment if the driver has few or no assets. Second, you may have underinsured or uninsured motorist coverage on your own car insurance policy that can kick in to fully compensate you for your loses. Another possible avenue for recovery is third party liability. Under Arizona law, the people or establishment that served the drunk driver alcohol before the accident may be be held legally responsible for your injuries. These laws are known as the “Dram Shop Acts” and they normally apply when a bar or restaurant serves someone who is underage or obviously intoxicated. So instead of just suing a drunk driver, you would also sue the person and/or establishment that served or sold the alcohol in the first place. In these cases, it can be important to investigate immediately to gather relevant evidence. Under certain circumstances, other third parties may be liable. For example, if the drunk driver is a minor with a history of substance abuse, his parents may have been negligent for entrusting him with a motor vehicle. Finally, the state of Arizona has set up “Crime Victim Compensation Fund” to compensate crime victims who aren’t eligible to receive compensation from another source, like insurance. This includes victims of DUI accidents. The maximum award for a claim to the Arizona Crime Victim Compensation Fund is $25,000.